Nelson Shanks is an artist and painter who was born in Rochester, New York in 1937. He lived in Wilmington, Delaware for most of his childhood. He studied at the Kansas City Art Institute and in New York City at the National Academy of Design and the Art Students League. His most famous work is likely his portrait of Diana, Princess of Wales, completed in 1996. 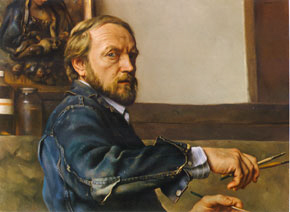 The painting was first shown at Hirschl & Adler Gallery in New York City, April 24 to June 28, 1996. Shanks has been on the faculty of the Memphis Academy of Arts, the Art Institute of Chicago, the Art Students League in New York, the National Academy of Design and Studio Incamminati and is a resident of Andalusia, Pennsylvania. 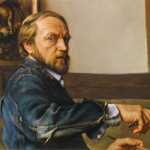 He is an honorary member of the American Society of Classical Realism Guild of Artists.